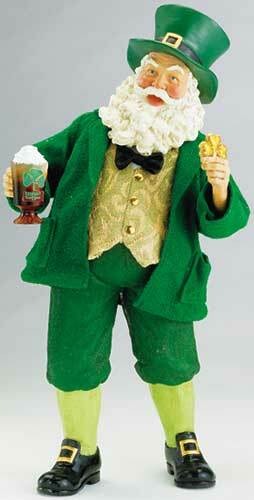 This Irish Santa figurine is named Irish Coffee and he features a golden shamrock in one hand and a mug in the other. The Irish Santa stands 10" tall and he is made of porcelain and Fabriché by KSA. 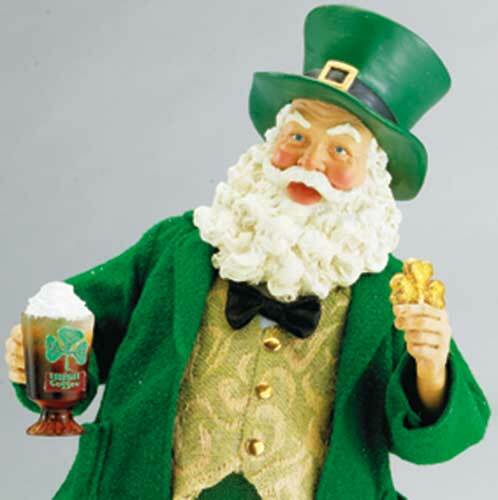 The Irish Coffee Santa will make a splendid decoration at Christmas or may be displayed all year long. The Irish Christmas decoration is gift boxed with a shamrock history card, complements of The Irish Gift House.